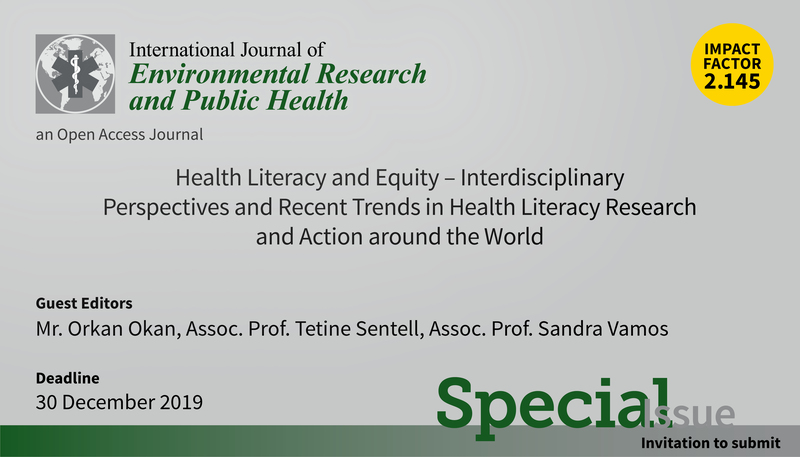 We are happy to inform you that the International Journal of Environmental Research and Public Health (IJERPH) has invited us to edit a Special Issue on “Health Literacy and Equity—Interdisciplinary Perspectives and Recent Trends in Health Literacy Research and Action Around the World.” Health literacy is a Sustainable Development Goal and a 21st century action-oriented approach to public health, health promotion, education, and health care. Health literacy describes essential skills and situational resources needed for people to find, understand, evaluate, communicate, and use information and services in a variety of forms across various settings throughout the life-course. In this sense, enhancing health literacy in populations and systems is critical to achieving health equity. 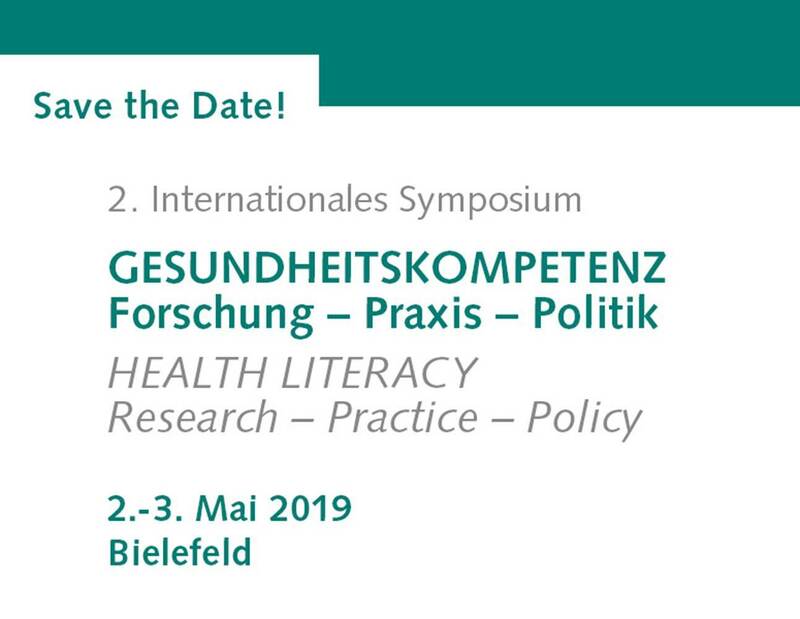 Thus, health literacy is increasingly recognized as a cross-cutting global issue and health determinant and is the focus of a growing body of interdisciplinary and international research, practice, and policy. Available Open Access under CC-BY-NC license. Health literacy addresses a range of social dimensions of health including knowledge, navigation, communication as well as individual and organizational skills for accessing, understanding, evaluating and using of information. Especially over the past decade, health literacy has become a major public health concern globally as an asset for promoting health, wellbeing and sustainable development. 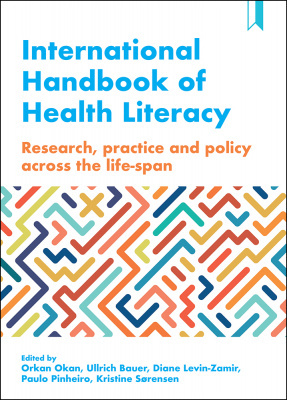 This comprehensive handbook provides an invaluable overview of current international thinking about health literacy, highlighting cutting edge research, policy and practice in the field. With a diverse team of contributors, the book addresses health literacy across the life-span and offers insights from different populations and settings. Providing a wide range of major findings, the book outlines current discourse in the field and examines necessary future dialogues and new perspectives. Nationaler Aktionplan Gesundheitskompetenz: Was kann Schule beitragen? Welche Schnittstellen gibt es? Veranstalter: Fachstelle Gesundheitsziele im Land Brandenburg in Trägerschaft von Gesundheit Berlin-Brandenburg e.V. in Kooperation mit dem Bezirksverband AWO Potsdam e.V. Die Institution Schule fungiert als Knotenpunkt bzw. Scharnier zwischen Kindern, Familien, Lehrkräften, Institutionen, weiterführenden Schulen, spezialisierten Einrichtungen des sozialen Hilfssystems, Bildungseinrichtungen und Betrieben. Neuer HLCA Artikel: Do adolescents understand the items of the European Health Literacy Survey Questionnaire (HLS-EU-Q47) – German version? In Germany, there are no measurement tools to assess the general health literacy of adolescents. The aim of the study “Measurement of Health Literacy Among Adolescents” (MOHLAA) is to develop such a tool for use among adolescents aged 14–17. The German version of the European Health Literacy Survey Questionnaire (HLS-EU-Q47-GER) served as a blueprint for the development of the tool. The present study examined the extent to which the HLS-EU-Q47-GER can be applied to the measurement of general health literacy in adolescents. Gesundheit in allen Politikbereichen findet immer größeren Zuspruch und auch Gesundheitskompetenz ist mittlerweile auf der politischen Ebene in Deutschland angekommen. Der Verbundkoordinator Ullrich Bauer ist Mitherausgeber des “Nationalen Aktionsplan Gesundheitskompetenz”, der u.a. anderem auch Gesundheitskompetenz im Bildungsbereich als Handlungsfeld definiert und somit auf einer Linie mit den Empfehlungen des Gesundheitsministeriums im Rahmen der Allianz Gesundheitskompetenz steht. Der Plan zum download hier auf Deutsch und Englisch. Die Mental Health Foundation, eine gemeinnützige Organisation aus Großbritannien, die sich der Förderung der psychischen Gesundheit widmet, hat auf Grundlage einer in diesem Jahr durchgeführten repräsentativen Studie Empfehlungen im Bereich Mental Health ausgesprochen, zu denen auch die Förderung von Mental Health Literacy bei Lehrkräften (Aus-, Fort- und Weiterbildung) und Schülerinnen und Schülern zählt. Idealerweise solle dies im Whole-School-Ansatz geschehen. Alle Empfehlungen, der Abschlussbericht mit dem Titel: “Stress: are we coping?” und weiterführende Informationen sind hier zu finden. Der HLCA-Verbund ist auf der diesjährigen “A Child’s World Conference 2018 – New Shoes New Direction”, die vom 11. bis 13. Juli 2018 an der Aberystwyth University (Wales, UK) stattfindet, mit zwei Vorträgen vertreten. 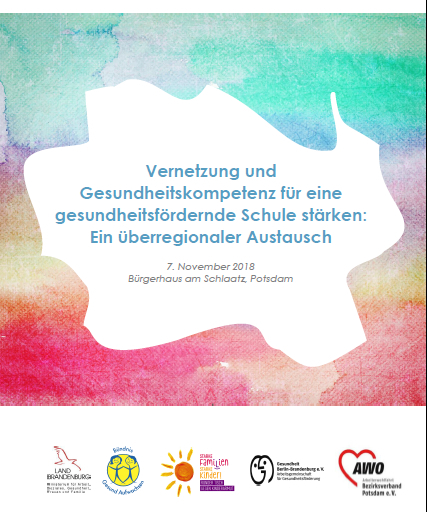 Gesundheitskompetenz von Schulkindern fördern. Link zum Artikel.